During the 2015-16 season, the Wildcats went 4-14 in the Big Ten but advanced all the way to semifinals of the conference tournament in March, winning games against Wisconsin, Minnesota and Indiana before falling to top-seeded Maryland. Then-junior forward Nia Coffey scored 100 total points over the course of the four games, setting a tournament record. 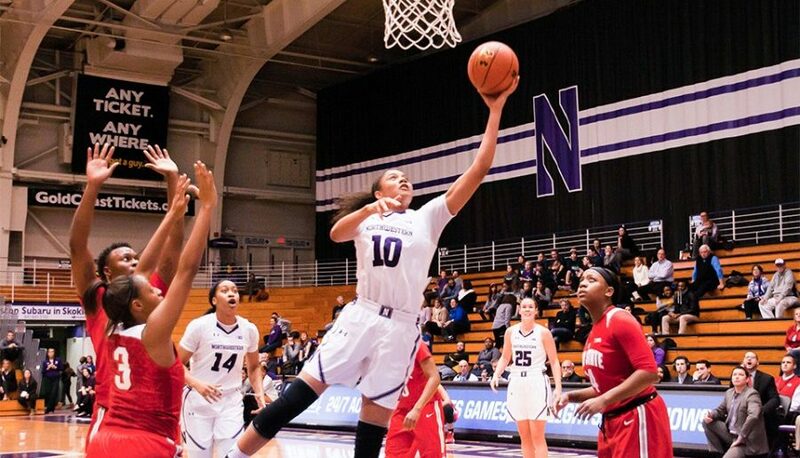 NU’s season ended in the first round of the WNIT in a loss to San Diego. In 2016-17, the Cats will play only 16 conference games as opposed to 18 a season ago. The reduced number of Big Ten games may prove beneficial, as NU will only face off against powerhouses Maryland, Michigan State and Ohio State once each. However, the team will also face potential bottom-feeders just once with only three games scheduled against Penn State, Wisconsin and Illinois. Two games against a Minnesota team sans No. 4 WNBA Draft pick Rachel Banham, who tied an NCAA record against the Cats with 60 points, would have been a good break for the team as well. The teams NU will play twice — Indiana, Purdue and Rutgers — are all middle-of-the-pack programs. Monday’s schedule announcement adds on to the previously announced Big Ten/ACC Challenge opponent from a few weeks ago. NU will face Virginia on Dec. 1. Dan Waldman recaps the lacrosse team’s humbling loss to Notre Dame in the NCAA Tournament. Benjy Apelbaum describes the men’s tennis team falling short of its goals. 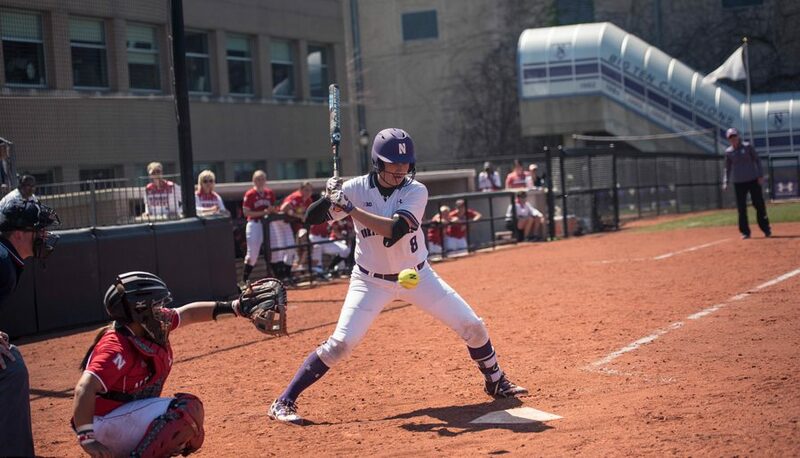 Melissa Haniff writes about the softball Big Ten Tournament, where the Wildcats lost but still remained eligible to gain an NCAA Tournament bid. Joe Wilkinson previews the men’s golf NCAA Regionals as Northwestern prepares to face some tough teams. Northwestern (26-26) dropped a tough one against No. 2 seeded (and No. 23 ranked) Minnesota (40-12) by a score of 8-4. After going 15-8 in conference play, the Cats were unable to stop the Golden Gophers’ powerful offense, as Minnesota scored at least one run in the first five innings. NU kept it close through the first few innings, as the Cats and Golden Gophers went back and forth scoring runs. In the end, a two-run homer from Minnesota’s Sam Macken in the fifth would put the nail in the coffin. NU was led at the plate by sophomore centerfielder Sabrina Rabin with two RBIs and senior rightfielder Fran Strub, who scored two runs. On the mound, senior Kristen Wood pitched one frame and fellow senior Amy Letourneau pitched the rest. The two combined for seven strikeouts, but gave up eight runs and 13 hits. 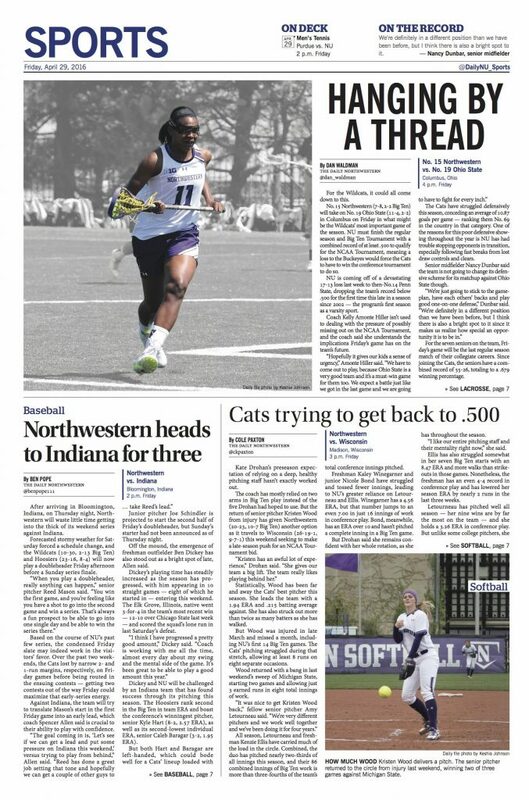 The Cats’ NCAA Tournament hopes are now in the hands of the selection committee, who will announce their choices tomorrow at 9 p.m.
Melissa Haniff takes a look at the softball Big Ten Tournament and how the Wildcats are thankful for their first-round bye. Mike Marut and Robbie Markus discuss the women’s tennis team’s chances in the weekend NCAA Regionals. Sophie Mann previews the cross country meet this weekend in nearby Naperville, Illinois. Three football start times were announced Wednesday morning, including the Wildcats’ homecoming game. Four softball players earned all-Big Ten honors, with Andrea Filler and Amy Letourneau taking home first team awards. The grandson of Lou Malnati of the famous pizzeria chain walked on to the men’s basketball team, according to the Chicago Tribune. Men’s golfer Dylan Wu qualified for the U.S. Open sectional qualifier, in addition to a volunteer assistant coach. Former NU soccer star Joey Calistri made his first career MLS start Wednesday night. The lacrosse team made it to the Big Ten Tournament championship game but ultimately fell to Maryland. Dan Waldman discusses how a big second-half run by the Terrapins ultimately sunk the Cats. Despite the loss, the lacrosse team earned an at-large bid to the NCAA Tournament and will face Louisville in the first round on Friday. Joe Wilkinson recaps a successful run for the women’s golf team, which won their NCAA Regional bracket by 18 strokes. In September, the Northwestern football team will host two prime time games against Duke and Nebraska. Former baseball captain Kyle Ruchim had his contract with the independent Schaumburg Boomers purchased by the Chicago White Sox. 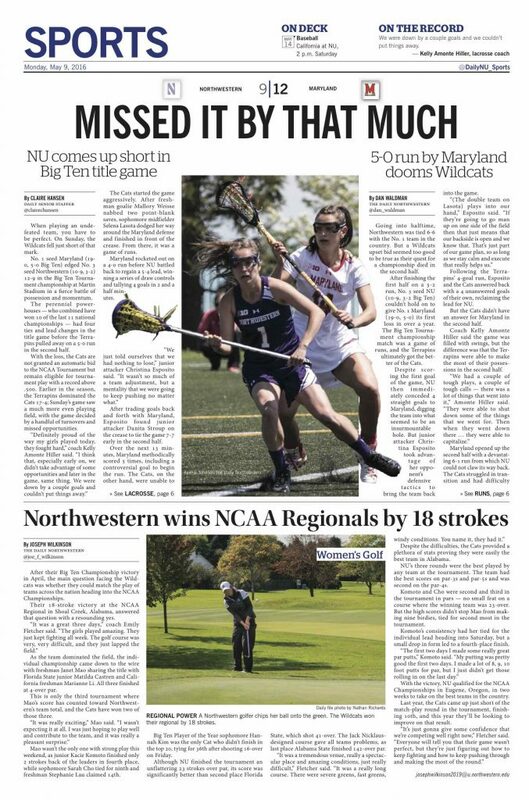 Eight days after snapping Michigan’s 37-game Big Ten win streak, Northwestern couldn’t put on a repeat performance as the Wolverines swept the Wildcats 4-0 in the Big Ten tournament semifinals Saturday. After dropping the doubles point, the Wildcats lost singles matches at No. 5 by Jillian Rooney, No. 3 by Alicia Barnett and No. 4 by Alex Chatt. 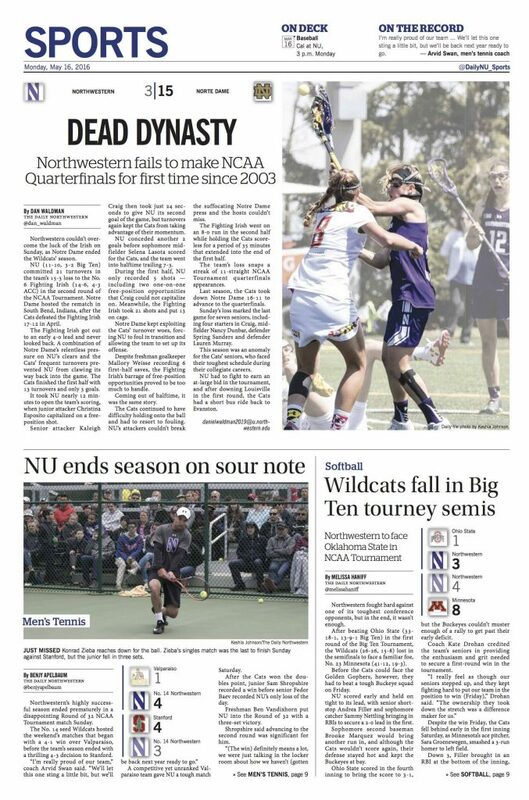 Saturday was the first time Northwestern got swept since March 25 against Texas Tech. Michigan will go on to face Ohio State for the conference title. Northwestern wasted no time during their dominating win in the Big Ten Tournament over Purdue. The No. 13 Wildcats earned a first-round bye after earning the No. 2 seed, defeating the Boilermakers 4-1. They improved over their 4-2 win against Purdue just over a month ago. 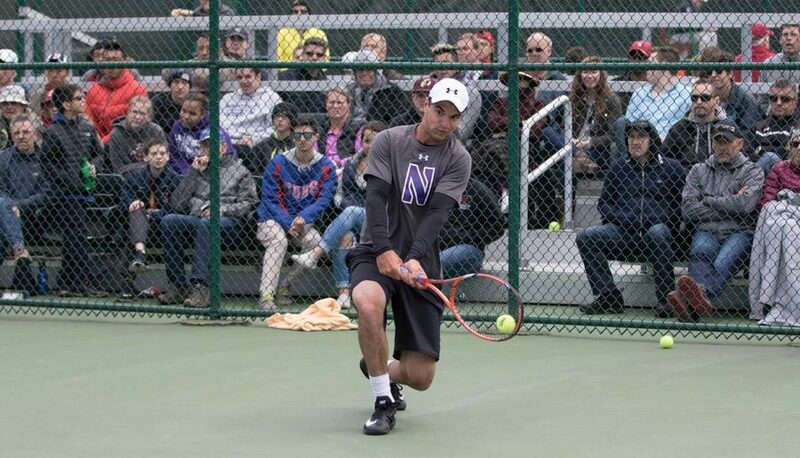 The match began similarly to the previous contest with NU taking the doubles point, this time by virtue of a 7-5 win at No. 1 doubles and a 6-4 win at No. 2 doubles. Juniors Sam Shropshire and Strong Kirchheimer jumped out to easy wins in singles play, winning their matches by scores of 6-1, 6-2, and 6-1, 6-0, respectively. These matches put the Cats ahead 3-0 overall before senior Fedor Baev lost 5-7, 3-6. 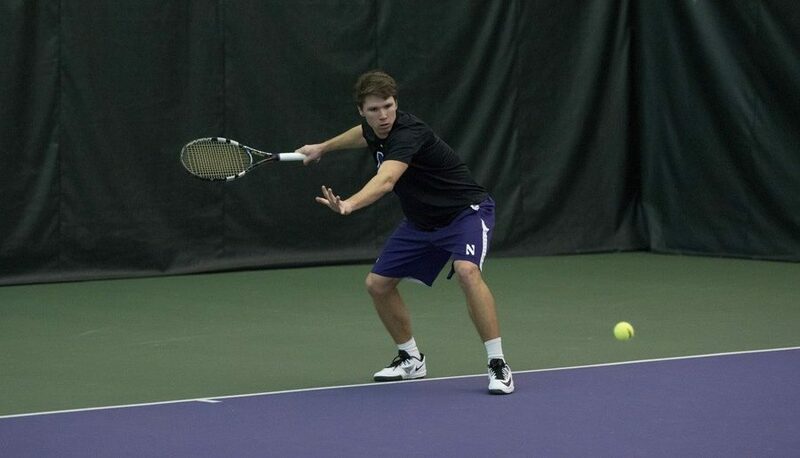 Alp Horoz then closed out the match with a 6-4, 6-3 win to send NU to the semifinals. All three singles winners Friday also won their matches the last time the Cats faced the Boilermakers. NU now will face off against the winner of No. 17 Illinois and Penn State on Saturday. The Cats defeated both teams in their most recent matchups, but were swept by the fighting Illini earlier in the season. 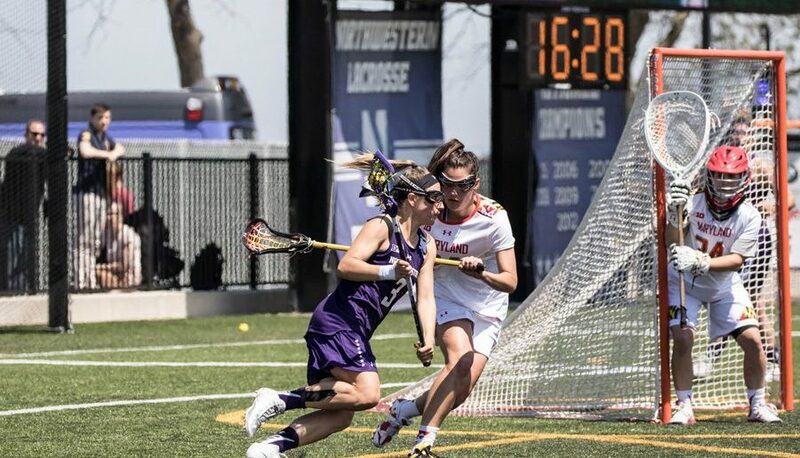 After a bye into the second round of the Big Ten Tournament, Northwestern faced host Michigan State, whom the Wildcats had just beat handily last weekend, and defeated the Spartans 4-1. 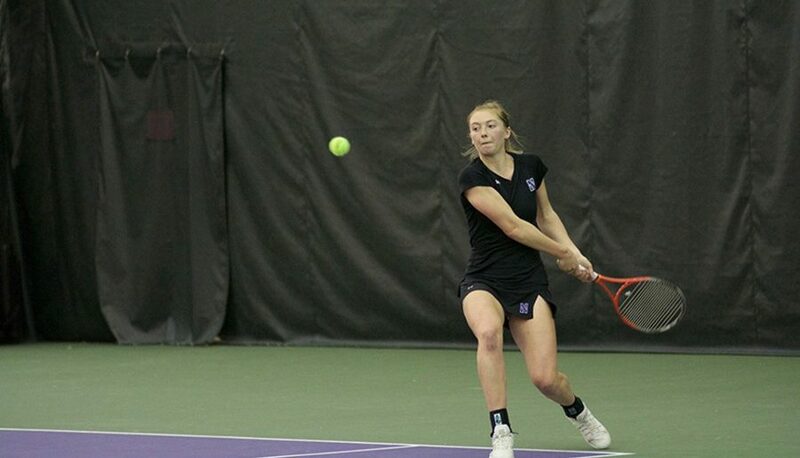 This tournament match was no different as NU took the doubles point quickly with wins from the No. 1 and No. 3 courts, who won 6-1 and 6-2, respectively. In singles play, sophomore Maddie Lipp took the upper hand quickly in her match, winning in straight sets, 6-1, 6-0. Following Lipp was fellow sophomore Erin Larner at the No. 1 singles court. Larner also won in straight sets over opponent Erin Faulkner, 6-4, 6-2. Up 3-0 in the match, junior Jillian Rooney fell at No. 5 singles before sophomore Alex Chatt wrapped up the victory for the Cats. Chatt fought back from being down 3-2 in the second set to take the match 6-3, 6-4, battling her opponent at the No. 4 singles court. Finishing off Spartans 4-1 means that the Cats will face Michigan in the semifinals after they knocked off Purdue 4-0. The post-season rematch will be more difficult than the match last weekend, when NU upset the Wolverines. Coach Claire Pollard has said recently the post-season brings more intense matches than the regular season, so a match pitting the Cats against Michigan could be even more electric than the regular season contest. 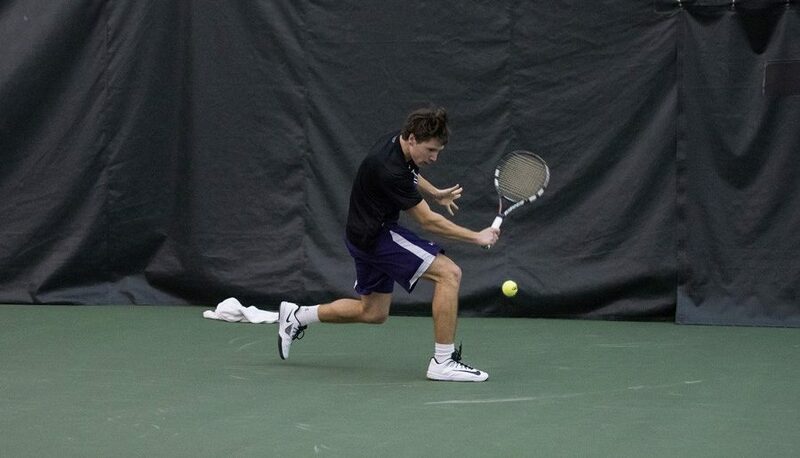 Three Wildcats from the men’s tennis team were named first-team All-Big Ten. Dan Waldman discusses lacrosse trying to remain NCAA Tournament eligible. 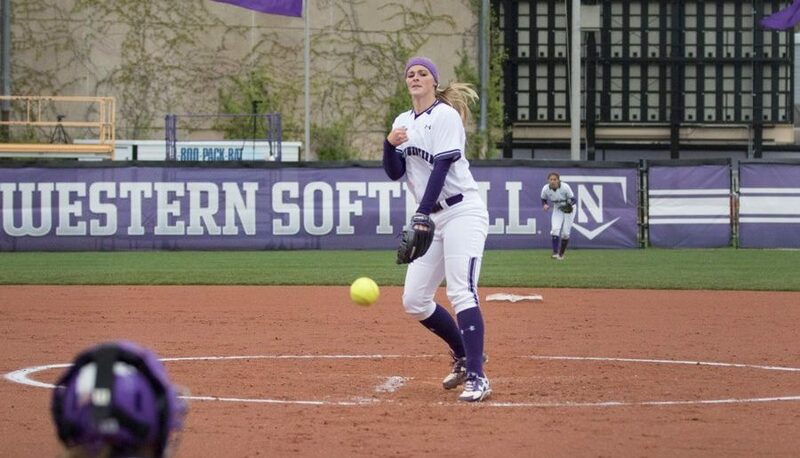 Cole Paxton writes about the important of Kristen Wood returning to the circle for Northwestern softball. The Baseball team is traveling to Indiana and the weather has already forced a rescheduling. Last night was the first round of the NFL Draft, and the later rounds will take place today and tomorrow. 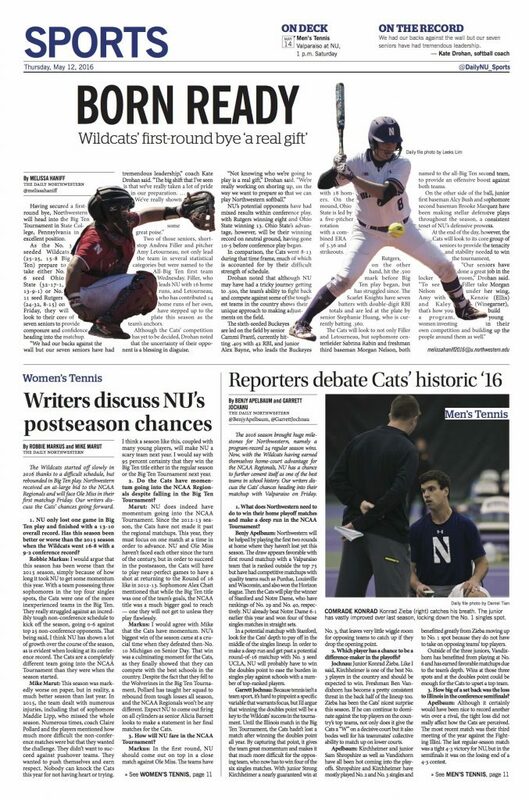 Bobby Pillote and Max Schuman pondered the chances of Northwestern’s standouts earlier this week. ICYMI, Ben Pope kicked off The Daily’s new running senior profile series ‘Curtain Call‘ with a profile on men’s soccer star Joey Calistri.